Body Brilliance is a compassionate and deeply personal guide to waking the spirit within the body. It seeks to engage what author Alan Davidson calls the "five essential intelligences"-Physical, Mental, Emotional, Moral, and Spiritual. 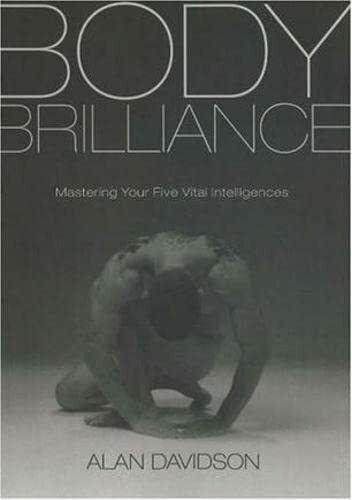 Body Brilliance tells the inspiring stories of people who have exemplified peak development in each of these essential areas: Olympians Jesse Owens and Wilma Rudolph for physical intelligence; Albert Einstein for mental intelligence; and Rumi and his teacher Shams for spiritual intelligence. It provides powerful yet simple ways to fully engage each level and pay attention to our bodies' unique patterns, achieving the benefits of expressing our full potential. Body Brilliance is full of practical exercises to awaken each level, and to encourage us to find our personal peak expression in that domain. Davidson demonstrates that when we wake up fully in our bodies and harmonize all five layers, we discover a result that is more than the sum of the parts: We fall deeply in love with being alive and fully present. Alan Davidson, RMT, owner/director of Essential Touch Therapies in Houston, Texas, works at the intersection of bodywork, psychology, ritual, and spiritual practice. He has taught massage, meditation, yoga, aromatherapy, and human transformation since 1990. A co-author of the award-winning Healing the Heart of the World (Elite, 2006), Alan also teaches at Source Vital College of Holistic Studies and NiaMoves Studio.